OBJECTIVE: To faithfully love and serve the Lord Jesus, seeking to spread his kingdom in our world today. Residence at Casa Santa Maria, the Graduate House of the Pontifical North American College. Priestly Formation at the Pontifical North American College, Vatican City State. Served as an English Tutor to the Pontifical Swiss Guard, 2003-2004; 2005-2006. Peer-Elected to give the “New Man Address” at the PNAC Dedication Anniversary Banquet, October, 2002. Ordained a Catholic transitional deacon on October 5, 2006, St. Peter’s Basilica, Vatican City State. Ordained a Catholic priest on July 27, 2007, Columbia Convention Center, Columbia, SC. Defense Board: Drs. John Crosby, Michael Healy, and John White. Peer-Elected “Graduate Student of the Year,” 2001. Named “Honors Scholar of the Great Books,” for completion of the Great Books of Western Civilization Honors Program. Member, Sigma Tau Delta, the International English Honor Society. Senior Thesis: “Human Dignity and the Exercise of Authority: The Historical Development of the Divine Right of Kings”; Advisor: Dominic Aquila, PhD, MMus. Served two years as a Resident Assistant in St. Francis Residence Hall, 1997-1999. Served as Administrator September 1, 2016 – September 1, 2018. Homiletic and Pastoral Review, July 2007 “Full Gospel” (PDF); July 2005, “The Ecclesial Priesthood of Jesus Christ” (PDF), and October 2004, “The Priest as Confessor.”(PDF); July Homilies, July 2015. Author, God’s Search for Us: Five Truths from a Missing Coin. El Cerrito: Pontifex University Press, 2018. Guest on “Bookmark,” Eternal Word Television Network, December, 2015. Guest on WITNESS, Salt and Light TV, December, 2015. Guest on “This is the Day,” CatholicTV, November, 2015. Guest on “Blink” series, CatholicTV, October, 2015. Guest on “Women of Grace,” Eternal Word Television Network, July, 2014. Guest on “Life on the Rock,” Eternal Word Television Network, June 2013. Featured in the British Broadcasting Company’s segment, “Catholic Church Attracts Future Priests Using Facebook,” 3 Sept, 2012. Featured in “Bookmarks,” Eternal Word Television Network, 27 June, 2011. Guest Expert, Local Charleston ABC and NBC Affiliates, segments contained in youtube.com/paterkirby. Host, “Our Life of Prayer” Radio Show, RadioMaria, July-September, 2015. 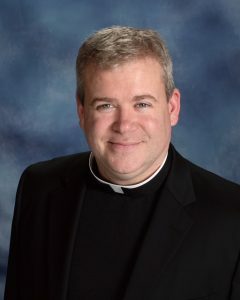 Guest on “Talk of the Nation,” National Public Radio, “Amidst Church Scandals, Who Still Joins the Priesthood?” 23 Jan, 2013. Co-Host, “Porta Fidei” Radio Show, Mediatrix Radio, Lent, 2013. Co-Host, “Pathways to Rome,” Radio Show, Mediatrix Radio, 2009-2010. “2018 State Honoree,” South Carolina Knights of Columbus, Columbia, SC, 28 April, 2018.